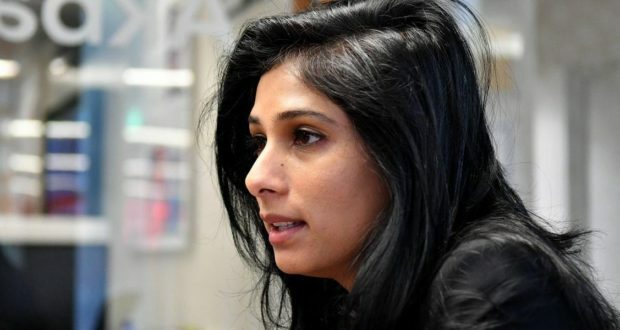 It should come as no surprise that Gita Gopinath was selected as the first woman to become chief economist at the International Monetary Fund. Her academic pedigree is beyond reproach. Born in India, Professor Gopinath studied for her doctorate at Princeton under Kenneth Rogoff, a former occupant of her new job, and Ben Bernanke, who later led the Federal Reserve during the financial crisis. From there she moved to the University of Chicago, and on to Harvard, where she has produced prodigious amounts of research. In an environment where the Fed and its historically laisse-faire philosophy is under attack, the IMF is also asking a different set of questions under the Gopinath administration — One issue is whether emerging markets are actively managing their currencies like China. The IMF has changed its course over the years, and advocates austerity plans for economies like Greece and Argentina, and have backed redistributive taxes. That is Newspeak for the IMF’s novel mantra of “Tax the Rich.” Pope Francis must have put on his wings and soared to Argentina to lead the protest against the country’s poor having to bear any of the burden of budget savings. The dichotomy is what happens if an influx of capital reduces a nation’s productivity instead of boosting it. Gopinath is an authority on foreign exchange and plans to look deeply at the floating rate system. Milton Friedman laid out the blueprints for such policy, expressing that to allow a countries currency to fall, the theory goes, exports become cheaper relative to imports, so the country can sell more goods abroad and boost growth. Gopinath is also expert in understanding the flows of capital across borders. Her empirical studies show that flaws were made in the income distribution in Europe after the formation of the European Union. Her data suggests that southern Europe was not allocated the necessary funding, thus leading to the lack of production that eventually led to their economic demise. The evolving IMF will be using “capital controls” if necessary to stabilize a region. That is more Newspeak for loss of sovereignty, but it matters not, as the 19 faithful lemmings are lined up to get on board of their own volition.